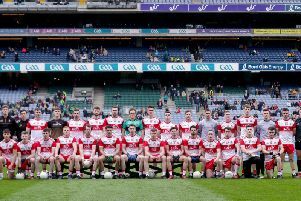 Derry will meet Mayo in the All Ireland Qualifying Series after the Oak Leafers were handed a difficult dra in Monday morning's Round 2A pairings. Damian Barton's men were comfortable winners against Waterford in Dungarvan on Saturday but face a step up in class against Stephen Rochford's side who lost their their second Connacht semi-final in a row against Galway last week but will still go into the game as favourites. The game, which will be played over the weekend of July 1st/2nd, will be only the second Championship meeting between the counties with the last coming in 2007 when Derry won by a margin of 2-13 to 1-6 thanks to goals from Collie Devlin and Enda Muldoon.